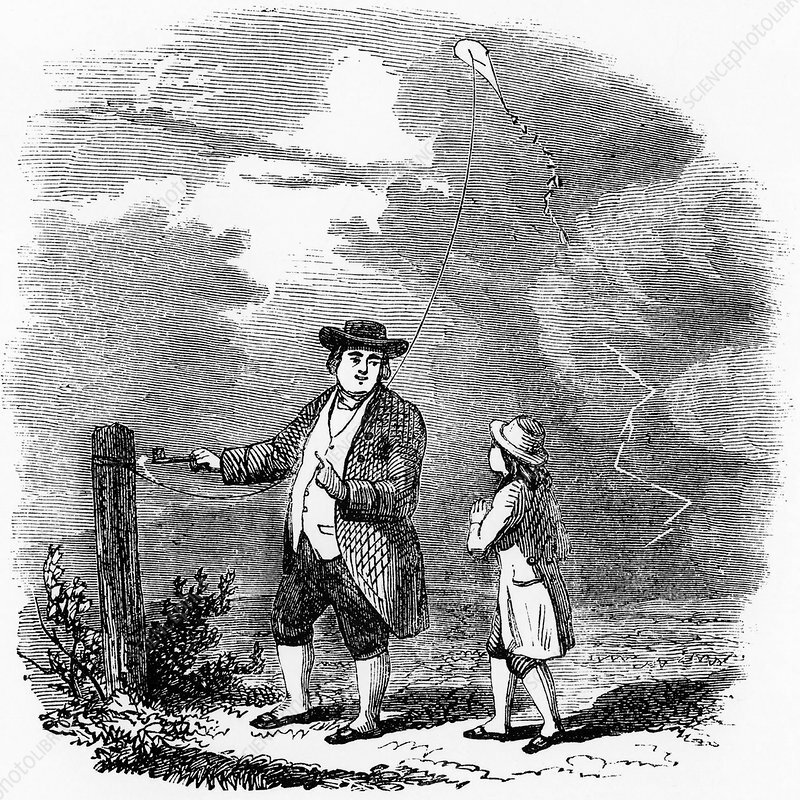 Artist's impression of the Benjamin Franklin's (1706-1790) investigation of the electrical nature of lightning, made at Philadelphia, USA, in September 1752. Franklin is flying a kite in a thunderstorm and is drawing a spark off the kite string using key. Engraving from The Boy's Playbook of Science by John Henry Pepper (London, 1862).